Peripheral Arterial Disease (PAD) is the less well-known branch of cardiovascular disease which relates to the narrowing or obstruction of the arteries in the legs. Previous research has shown that individuals with PAD have a three-to-six-fold increased risk of cardiovascular death compared to those who don’t have it. The main symptom of PAD is pain in the legs when walking, but up to two-thirds of individuals with PAD in a community setting have no symptoms at all, which has resulted in increasing calls for PAD screening programmes to identify these people, and enable instigation of secondary preventive strategies to reduce their cardiovascular risk. Jane Davies, a researcher at the University of South Wales, contributed to help Huntleigh Healthcare improve their design of an automated device to help identify patients suffering from PAD. Supported by a Knowledge Economy Skills Scholarship (KESS), her research showed that, with minimal training, the machine could effectively compare blood pressure measured at the ankle with the blood pressure measured at the arm and makes the process of PAD screening much more amenable. 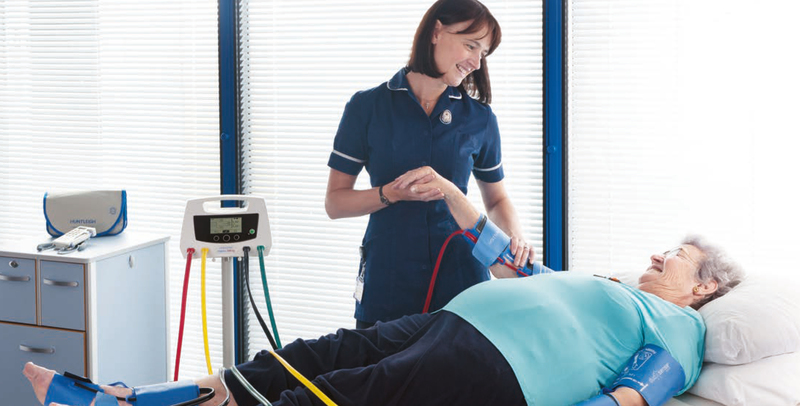 Jane Davies and Huntleigh have been able to show that with minimal training, PAD screening could be a much more amenable process and improve patient care. 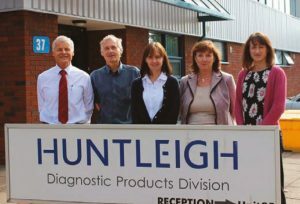 The KESS project with the University of South Wales and Huntleigh has enabled the company partner, Huntleigh, to position themselves as a voice of authority in the market. The NHS were involved in the project and added a new dimension to the project by enabling the partners to look at applications in a clinical environment. The Having completed her PhD in January, Jane is now applying for funding to pursue post-doctoral research, and is also working for her PhD partner company Huntleigh Healthcare, on a consultancy basis, continuing to assist with their research agenda and product development. 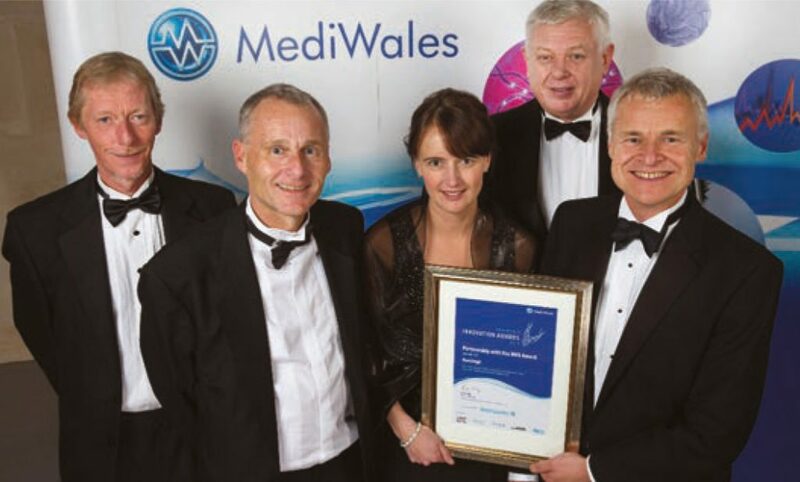 Jane Davies and Huntleigh Healthcare have won a MediWales award for partnership with the NHS and academia. Jane qualified as a Registered Nurse in 1997. She has worked in the fields of vascular surgery, primary care and emergency medicine, in the UK and abroad, before spending the last eight years in research-related roles. Her first research opportunity arose when she took a five-year post as a research nurse in Cardiff’s Wound Healing Research Unit. “This allowed me to experience first-hand how research projects could directly benefit patients in my care,” she said. In October 2011, she was given an opportunity to bring together all of her nursing experience by embarking on a PhD as part of a Knowledge Economy Skills Scholarship (KESS); this is a major European convergence programme which supports collaborative research projects with external commercial partners, including Huntleigh Healthcare. Jane Davies (KESS student) and Huntleigh Healthcare (KESS commercial partner) have won a MediWales award for partnership with the NHS and academia. MediWales is the Welsh Life Sciences Forum – the networking and representative body for the sector. The win was awarded for collaboration with Cwm Taf University Health Board and the University of South Wales to investigate the feasibility and value of a primary care screening strategy for Peripheral Arterial Disease. “The extensive support I received from the University of South Wales was fundamental to the successful completion of my research.” said Jane Davies. Jane Davies contributed to help Huntleigh Healthcare improve their design of an automated device to help identify patients suffering from PAD. Huntleigh were appreciative of Jane and her work, commenting that “Jane has been an outstanding student, who persevered with her project and finished within the allocated timescales. We provided help and support with her data capture and analysis. She helped us to refine the clinical performance of the Dopplex Ability unit by providing valuable data and feedback. The first KESS programme ran from 2009 until 2014, and achieved 230 PhD and 223 Research Masters projects across Wales (21 PhD and 10 Research Masters at the University of South Wales). KESS 2 will run until 2021.